The 416C is the subcompact version of the 416 and is the smallest of the HK assault family. The real firearm was designed for the British Special Forces and marketed to US Special Ops units. 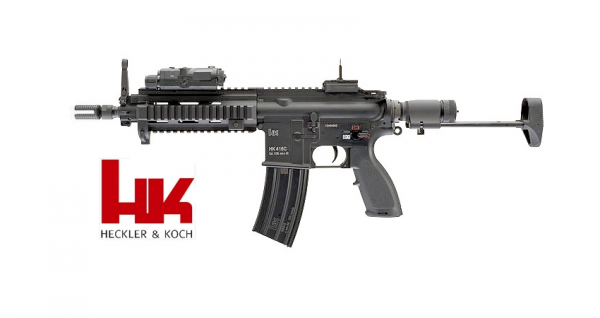 The H&K 416C Airsoft AEG from VFC with fully licensed trademarks from Heckler & Koch is an authentic replica of the real 416C rifle and by far the most realistic replica of the 416C on the market. 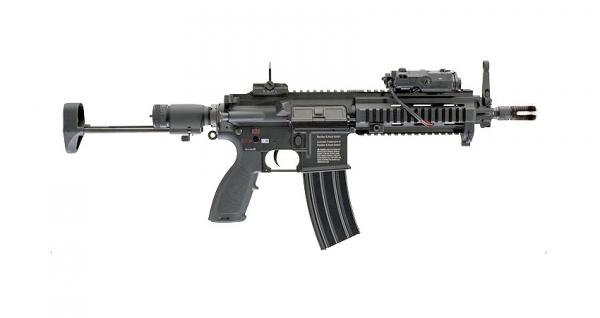 VFC is renowned for their high quality, high performance AEG rifles, and the HK 416C is no exception. The V2 8mm Ball Bearing Gearbox has been enhanced and upgraded directly from the factory for high performance and durability. With FPS in the 350 range with .20g BBs the 416 CQB is perfect for Indoor CQB environments as well as Milsim / Tactical Training. From its ultra-realistic feel and construction to its performance, the H&K 416C Airsoft AEG is truly in a class of its own.